I’ll never forget that great moment in Texas history when, rather than rallying troops to battle with a cry of “Remember the Alamo”… Sam Houston instead blamed the loss on the wholly insensitive treatment of Hispanics in the movie “Butch Cassidy and the Sundance Kid”. Random Mexicans with field artillery engage in spontaneous protest in response to insensitive video. 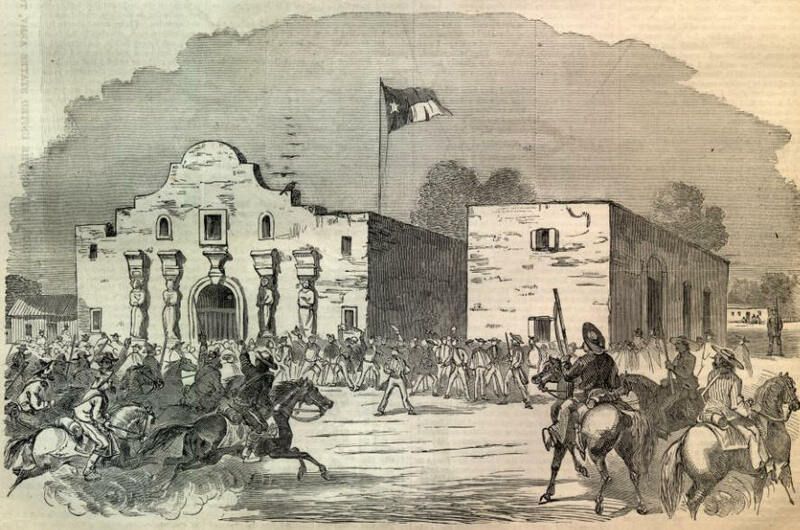 Afterward, Houston declared victory in the war against Santa Anna and withdrew all troops to Baton Rouge Louisianna per his previous campaign promise. That is why, as we all know, Texas is the northernmost of Mexico… though we have a bit of a problem with Texans swimming the Red River to seek a new life in Oklahoma. Face it. Replace Sam Houston with Obama… this post would be in Spanish.